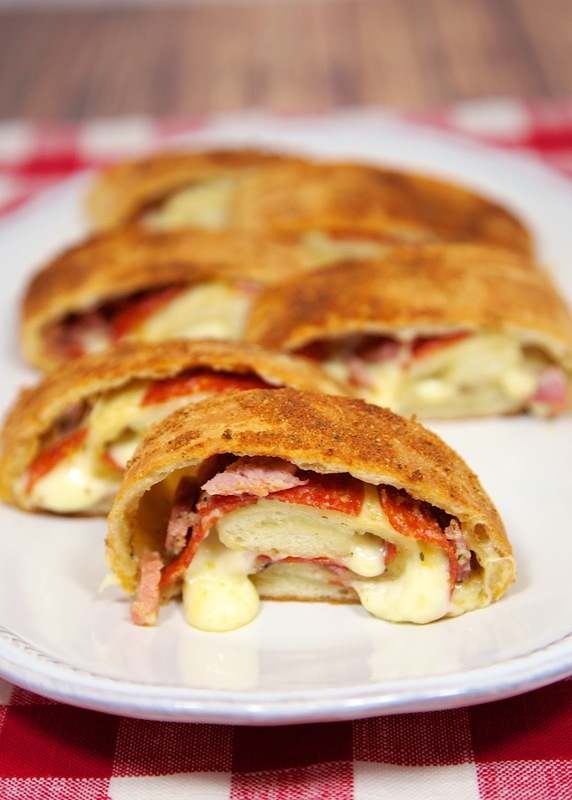 Garlic Butter Stromboli - pizza dough slathered with garlic butter and stuffed with pepperoni, ham and mozzarella. Serve with warm pizza sauce. This recipe was inspired by a reader's recipe. Kerri from Iowa sent me a recipe for her Garlic Butter Stromboli recipe a while back. I loved the idea of a Stromboli with garlic butter slathered all over it! I love pizza and I love garlic butter. So, I knew this would be amazing! Kerri's recipe used a loaf of frozen bread dough. I had a ball of pizza dough from the grocery store, so I just used that instead. It worked great. 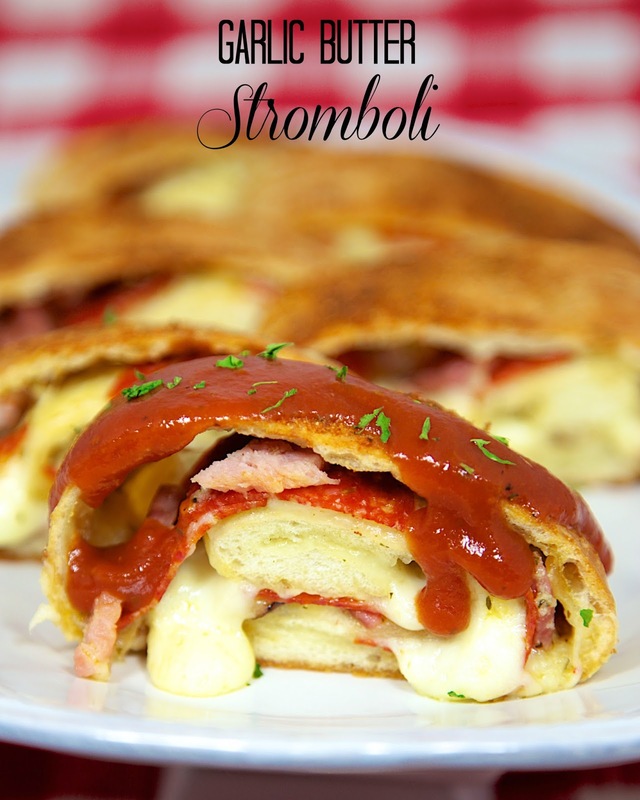 You can stuff the Stromboli with any of your favorite pizza toppings. We used ham and pepperoni. My favorite part of the whole recipe was the flavor from the garlic butter! We served this with some warm pizza sauce on top. YUM!!! We will definitely be making this again for pizza night. Mix together butter and garlic seasoning. Roll out pizza dough to a 15x10 rectangle. Spread 3 Tablespoons of garlic butter over dough. Top with cheese, pepperoni and ham. Starting at long side, roll up dough into a log. Place dough on parchment lined baking sheet. Spread with remaining garlic butter.